We joined the Easter traffic circus and went along for the experience! Yes it was busy. Yes we came prepared. I had magazines, notebook and pens. The kids had their books, colouring in and iPads. Hubster had my stimulating conversation or just enjoyed the silence when the iPads were allowed to come out. Our destination? Broulee on the South Coast of NSW, around 4 hours south of Sydney. I had never been there but Hubster and the kids had. I didn’t know what to expect. It’s usually 2 hours from home but at Easter… add a good half hour. I didn’t realise I was going to fall in love with this place. There were so many things to do and we hardly put our hand in our pocket except to buy a coffee, fresh bread and a few supplies. The kids really didn’t stop until it was time for bed. What did they do? There were many rides along the awesome path that runs from Mossy Point and all along Broulee beach. It’s plenty wide enough for 2 way “traffic” and you can pop in and have a look at the beach along the way. There’s information here if you want to have a sticky beak. Broulee Beach was good for a few kids waves to surf and boogie board and a great place for swimming. We had loads of fun with ball sports… beach cricket, football and soccer, it was a hub of activity there. We saw some gorgeous dogs taking their owners for a walk, one of them carried his own sticks waiting for the first stick throwing opportunity. 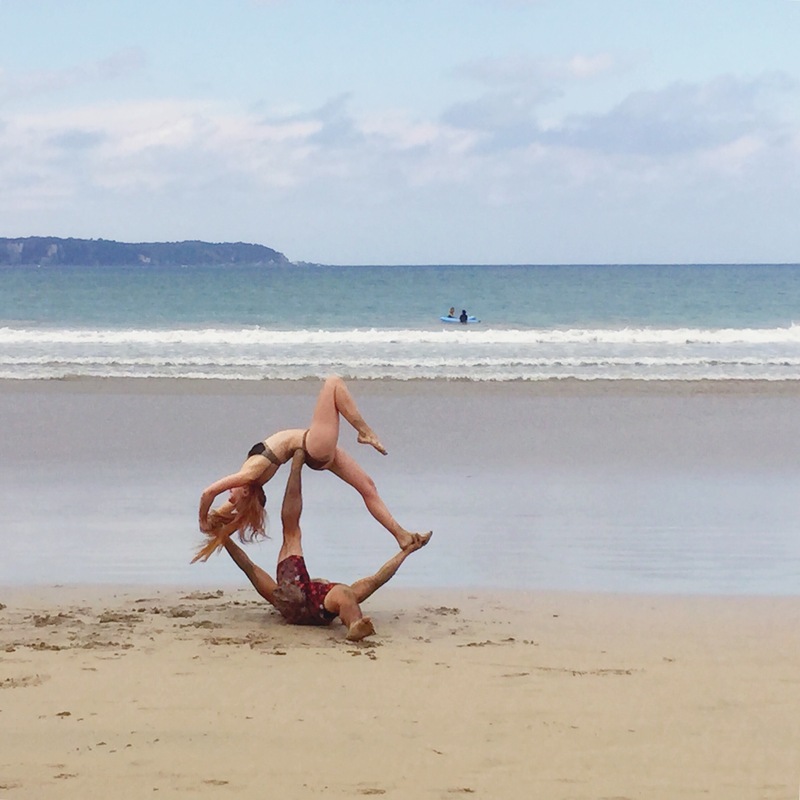 We also came across a couple of people who were doing yoga and acrobatic moves – they were so strong (I hope they don’t mind I put this pic in), oh and talented. At Shark Bay near Broulee Island, there are loads of fish to see and the water is clear and calm. So beautiful. The inlet at the northern end of Broulee beach has all sizes of fish to see – my little one tried to “hand fish”, he was mesmerised! Something for everyone and being tidal our options changed depending on the water level. 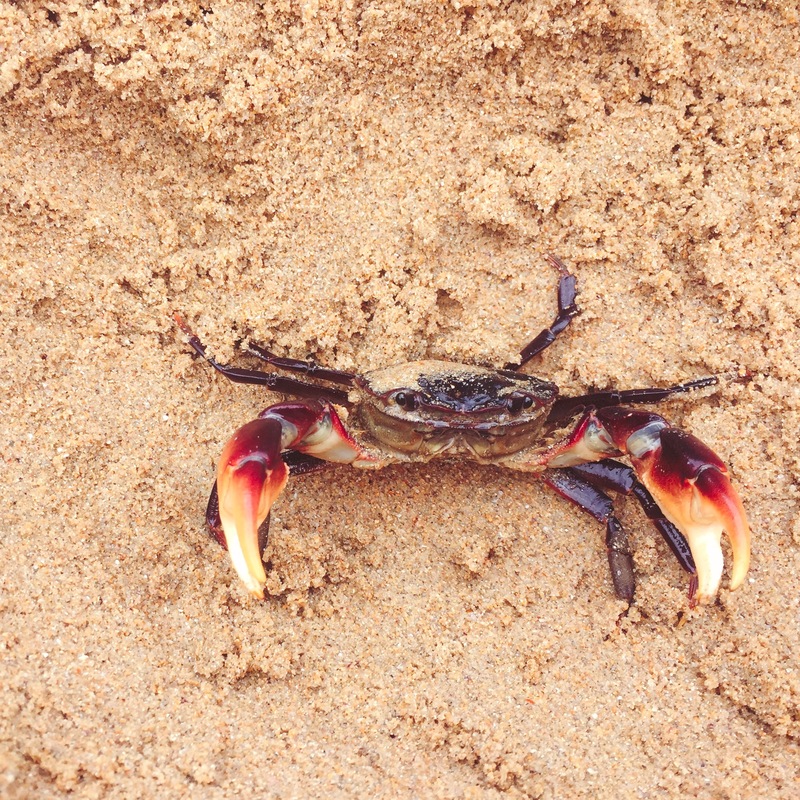 We chilled in the small beach area while the kids caught crabs, snorkelled and swam. Then when we were feeling more energetic we played “Classic Catches” with a handball and beach soccer ball. 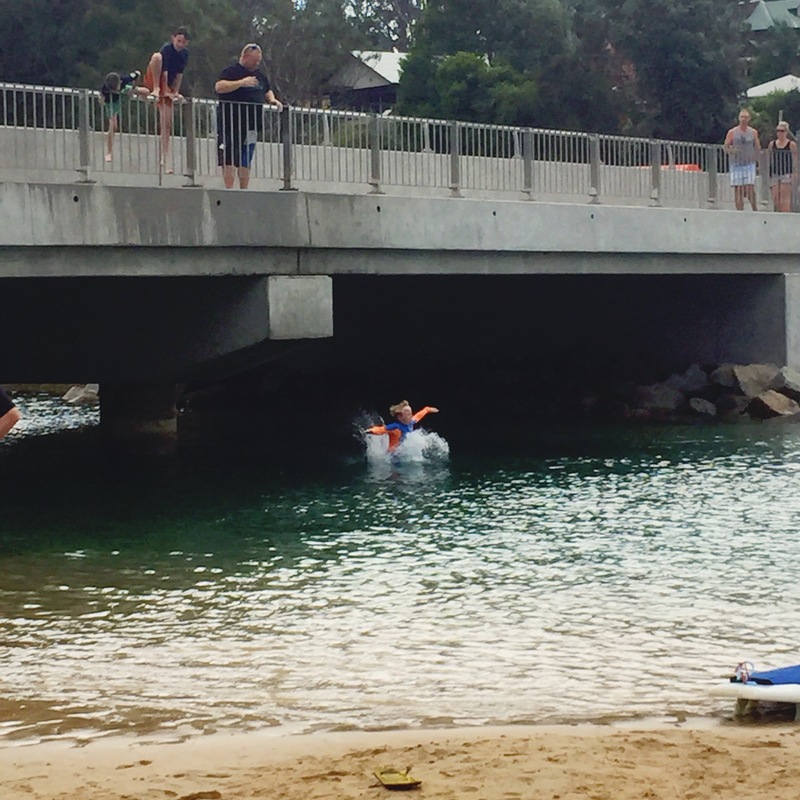 The oldest one wanted to join the other kids and relive Hubsters childhood and jump off the new bridge (a high tide activity). He’s normally not good with heights but the bridge isn’t too high. The bridge linking Broulee and Mossy Point is only open to pedestrians and I’m not sure if it will one day be open to car traffic again. There were also people paddling through in sea kayaks and on paddleboards too. 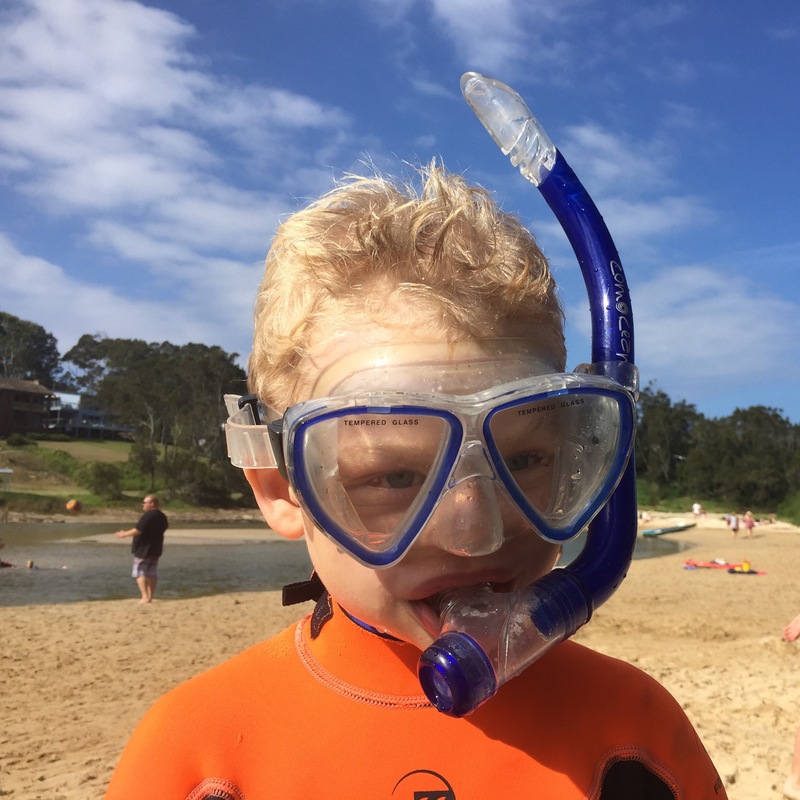 Friends of ours have stayed at The Big4 Broulee Beach Holiday Park and raved about it. On one of our bike rides the people at the Big4 were nice enough to let the kids try out the jumping pillow. They loved the look of the pools and the eyes in my little ones head popped when he saw the peddle go karts the other kids were riding around the park! I think he’d stay there just to ride the peddle go karts. The kids explored the beach gardens and we had a great water bomb fight (not so fun picking up the balloon bits after). There were games of cricket and soccer and we introduced our new friends “the neighbours” to my little ones fav game from school called “Fly” – have you heard of it? The kids jump over 2 sticks set a distance apart without touching the sticks. After everyone has jumped over them sucessfully, you move the sticks further and further apart until there’s a winner. Lots of smiles, lots of laughs. With so much to do we did need some quiet chill out times. We put together a jigsaw we found at the house with the tiniest pieces I have ever seen, we read and found a new family fav card game… Monopoly Deal. Every chance we got we squeezed in a game! The kids made a cubby out of their bunk bed, there was colouring in and although it’s not relaxing, the kids practiced washing up the dishes by hand. That was relaxing for us. Hubster cooked dinner on the wood fire barbecue one night and given the little temperature control this provides, the sausages were very “dark” for dinner that night… But and our new friends “the neighbours” and their kids brought down marshmallows for the kids to toast up for desert… soft, gooey, deliciousness. 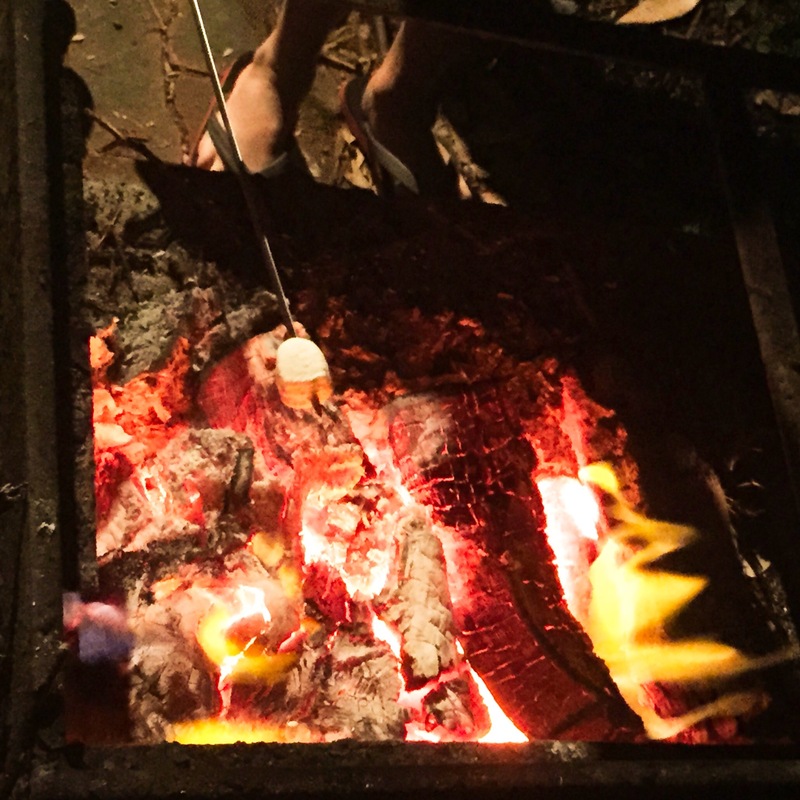 Can’t beat toasting marshmallows, unless your little one loves to toast but not to eat and gives them all to you, then you feel really sick. Anyhoo, there weren’t any mozzies around and that was a bonus! 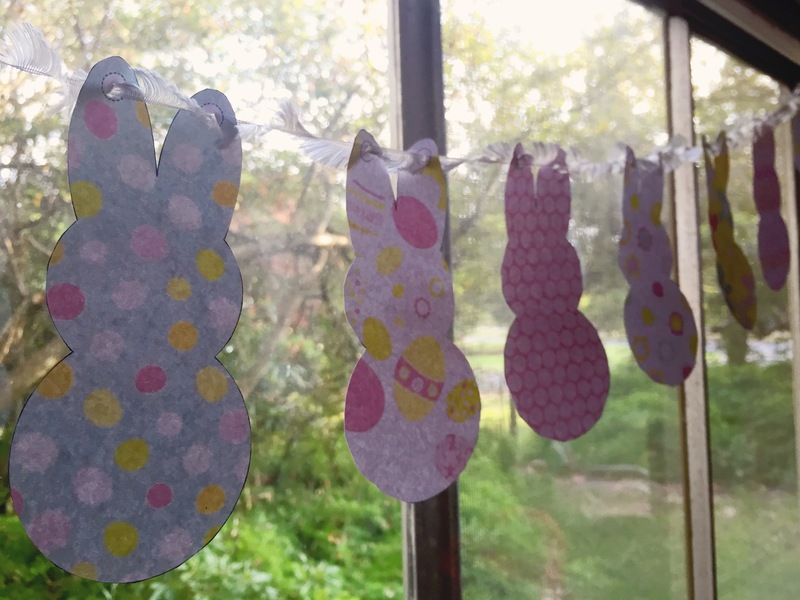 I am partial to theming the holiday if there is any remote chance a theme is to be had… I took loads of Easter colouring in pages I printed free from the internet, as well as a bunch of blank bunny templates so we could design our own. There were some interesting bunnies to be had, some gangster looking with a 3 day growth, businessman bunnies, cutsie bunnies and sporty bunnies – imaginations were good that night. My favourite however, was the Easter bunny bunting I printed before we left. We just needed to cut the bunnies out and thread them on ribbon wool (because I couldn’t find the string). 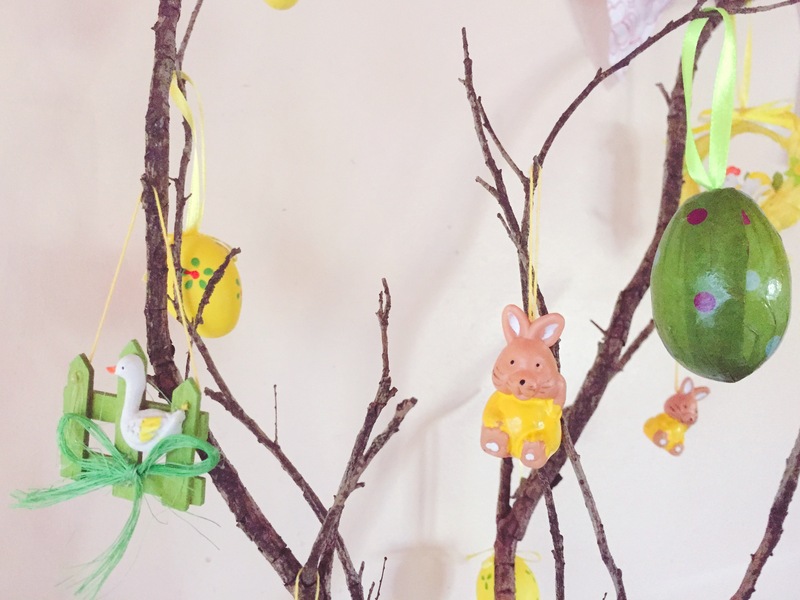 We also had some Easter decorations that hang so we popped them on a stick we found in the garden and created our own Easter Tree (as opposed to Christmas Tree). All the other decorations the kids popped around the house. I didn’t even move them or adjust them, I must have been in the Easter spirit! Easter colouring in pages – includes eggs, bunnies and chickens from Kidspot. Easter Disney characters – because I love Disney, from Colouring Top. Easter eggs – with various designs from AZ Coloring. Design your own Easter Bunny – This is a pattern to make fabric Easter bunny bunting but we adapted it as a paper template to cut out and draw our own Easter bunny characters. It’s from Made Everyday with Dana. Easter Bunny Bunting from brother. My new favourite spot Broulee… I think I left a little piece of my heart there just so I can go back and get it. I have so much more to share. Our fun adventure into the Moruya Country Markets, my fav coffee find Single Fin Gypsy and all the little things that made me fall in love with this place. That will be next time… well the next two times, there’s Part 2 and Part 3. I couldn’t stop writing and the word length just got out of hand. Go and explore Broulee, you’ll find it here but not all at the same time we don’t want to overrun this special little place. Fantastic post! You’ve made me really want to visit. I’m enjoying comparing it to our chilly week beside the North Sea!